At our dealership in South Charleston, we boast a complete inventory of Honda models. 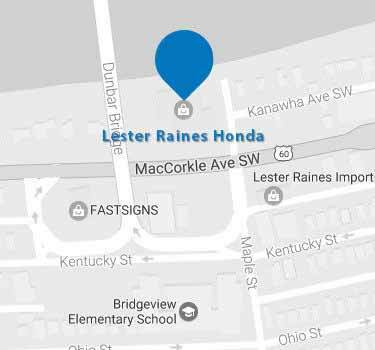 Stop by Lester Raines Honda to view our Honda vehicles. Check back often as we are constantly updating our selection of new Honda cars and used cars for sale to better serve our customers. When you find the new Honda car, truck, van, or SUV that you are looking for, please contact one of our knowledgeable team members online or by calling us at 304-768-1251. While you are shopping for a new Honda vehicle, be sure to check out our new Honda specials.